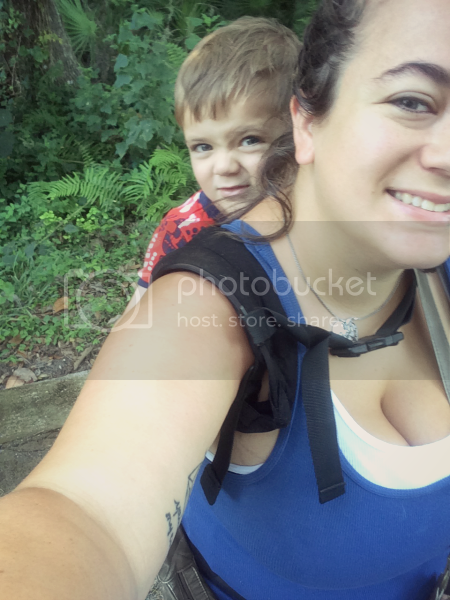 You Are The Roots: babywearing with the boba 4g carrier - review & giveaway! 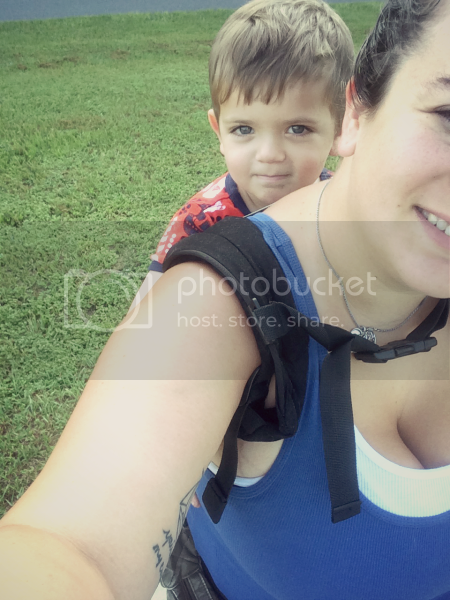 babywearing with the boba 4g carrier - review & giveaway! I wore Ethan a lot when he was an infant and a younger toddler and so I was pretty sad when he outgrew our original carrier. Somehow it's just easier to do, oh, almost everything while carrying your child. When Boba offered us the opportunity to take their 4G Carrier for a spin, I couldn't wait to try it out! Once I pulled the 4G from the box, I instantly regretted missing out on so much time without one. Ethan is a big kid at age three and, at 41 pounds, I was wondering how toddler wearing would go. I absolutely loved that the back of the 4G carrier is 3" higher than the other brand of carrier we had been using. It's great to purchase one product that can take you from the newborn phase up to the toddler years. 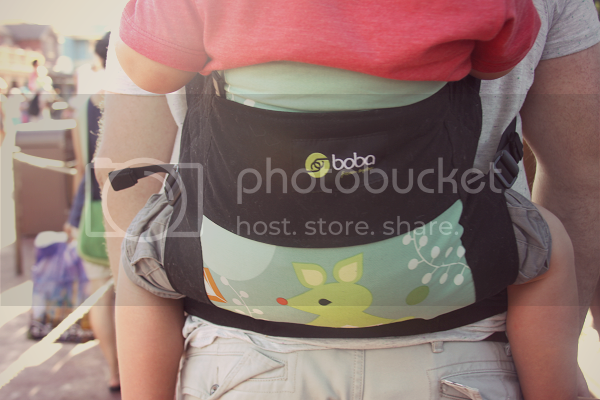 The Boba 4G comes with the infant insert (yes, you read that correctly) and can fit a child up to 45 pounds. Ethan is on the higher side of the spectrum size wise and even so, we definitely have quite a ways to go before the Boba no longer fits him comfortably. Yes, I said comfortably. 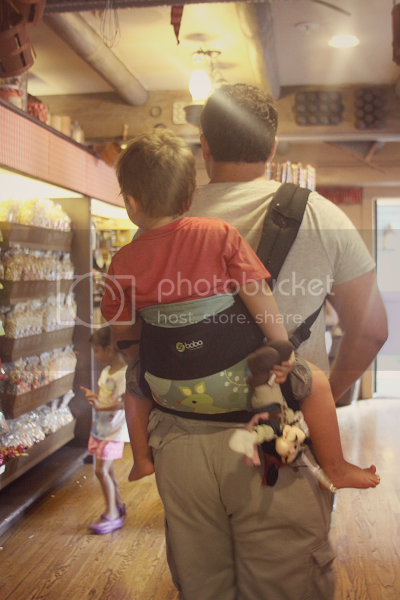 The Boba carrier has thick, padded straps that fit comfortable on your shoulders and don't dig into your skin. I was able to keep my purse and bag on my shoulder without them sliding down thanks to the design of the straps which have purse strap holders attached. We recently returned home from a week long trip which included three days spent at three different theme parks (some for 12 hours!) in the hot Florida sun. We not only gave the 4G carrier a run for it's money during our trip, but it was a complete lifesaver! When Ethan got tired, he could kick off his shoes and relax on the back of mommy or daddy while he continued to take it all in. 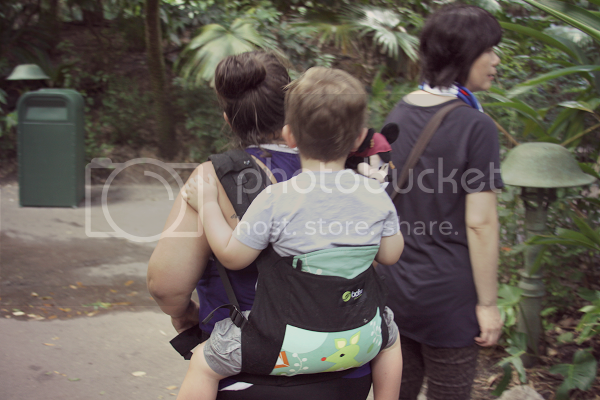 Hiking around theme parks even in the brutal heat was a breeze with Ethan safely strapped into the 4G. It distributes his weight perfectly so that there were no aches or pains for the wearer. Unlike some other carriers that I have tried, the straps of the 4G are all easily adjustable which made it really easy to keep swapping the carrier between my husband (6'3") and myself (5'0") without any issue. Getting Ethan in and buckled also took significantly less effort and he felt sturdy and cozy riding along with his mommy and daddy. The ergonomic design of the Boba ensures the highest level of comfort and hip safety for your little one and I loved that Boba also makes removable foot straps for toddlers! The foot straps help ensure great hip alignment for toddlers as they ride along. Ethan wasn't used to the foot straps yet so we're still working on getting him adjusted to them, but it's such a great feature of the 4G. I should also note for smaller children, the 4G carrier comes with a removable sleep hood, too. The The Boba 4G carrier also has plenty of pockets for storage which definitely comes in handy when you're hiking through theme parks or want to eliminate the amount of bags you have to carry. We are definite Boba converts and are in love with our 4G carrier. Thanks to the 4G, Ethan can be living proof that your baby is never too old to make more memories and spend more time bonding through babywearing. For more information on Boba, visit their website at boba.com and keep up to date with them on Facebook, too! I'm also super excited to be teaming up with Boba and some other awesome bloggers to bring you a giveaway to win a Boba of your very own! A lucky winner will win their choice of a Boba Air, Boba 4G Carrier or a Boba Wrap!